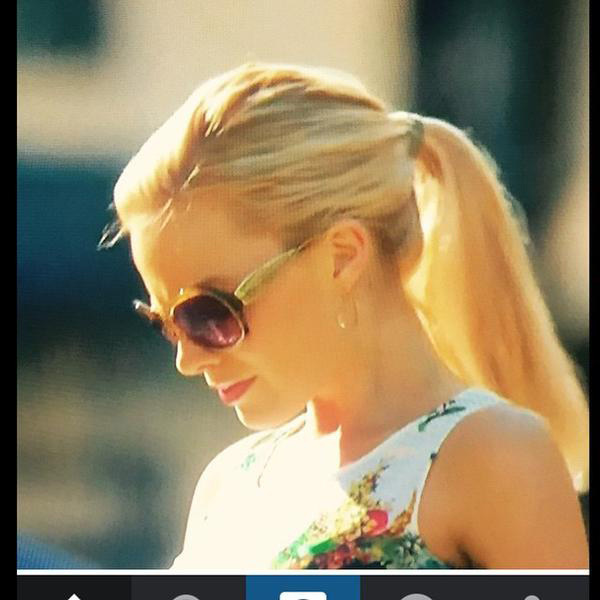 Actress Margot Robbie wears Sama Gossip sunglasses in the movie Focus. Robbie wears the Gossip in brown/tortoise, with a acetate and titanium frame. The same model is also available in black/ink and black/white. The glasses are available on the official Sama webshop for $620 or find a store near you. In the same film, we can see Will Smith with a pair of Loree Rodkin sunglasses, a brand that is part of Sama Eyewear. Sama Eyewear is often worn by celebrities and seen in films and series, for example by actors Seth Rogen, Gary Oldman, Mickey Rourke and many more.